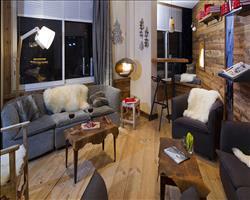 The Altapura lives up to its name as the ‘highest ski palace’, redefining luxury and style in Val Thorens. The interior design is a modern take on the mountain theme, creating an atmosphere of glamour yet cosiness that you’ll find hard to leave. With contemporary bedrooms, superb facilities and breathtaking mountain views, the hotel provides an effortlessly smooth service, as well as some of the finest cuisine on the mountain. Perfect for couples or families seeking the ultimate escape with fantastic doorstep skiing, the Altapura cannot be more highly recommended. Children's playroom with play leader available 12.40- 20.30 available from 23/12 (free of charge). Resort Tax (€3.30 per adult, per day. Children under 18 years are free of charge). The modern and sumptuous twin/double bedrooms (please specify preference on booking) sleep up to 3 and feature luxurious bathrooms with bath, separate shower, lounge area, Mac computer linked to the TV, providing UK channels and a large choice of movies, ipod socket, safe, hairdryer and minibar (pay locally). Classic rooms (A2) can sleep up to 3 and are North facing. Club rooms (B3) can also sleep up to 3 and are South facing*. Large Deluxe suites (C3) sleep up to 4 with twin/double beds and a sofa bed which are ideal for families. Duplex suites (D4) can accommodate up to 4, with a double/twin bed and bathroom on the upper level with bathroom and 2 single sofa beds with shower on the lower level. *South facing rooms may be South East or South Westerly facing. Delicious evening buffet in Restaurant 2003, with chefs cooking the food in front of guests. Choice of dining in the fabulous La Laiterie or the Enfants Terribles at a supplement. We update Hotel Altapura's details often, but facilities do change. e.g. some extras listed by the supplier as "free" or included might only be for the first time you use them, or for one time per party, then charged for further use. If any specific feature is essential to your holiday, make sure you ask us to confirm the details of it before you book your holiday. This package holiday to Hotel Altapura in Val Thorens, France departs Saturday 14th December 2019, for a 7 night stay on a "half board" board basis. A local tourist tax (Taxe de Sejour or Kurtaxe) is levied by many councils in European ski resorts. It varies by standard and type of accommodation and is age dependent, so not everyone is charged. It's not included in the basic price of your holiday and is usually paid locally. For reference, the average charged in winter 15/16 was between 50p and £2 per person, per night. Val Thorens lift pass price last reported as €208 (Adult 6 day). Ask for a quote when booking Hotel Altapura. 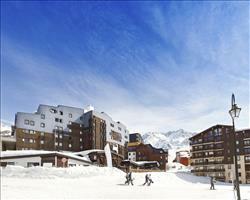 Hotel Club Les Ar... Val Thorens France, Dover Ferry 14th December. 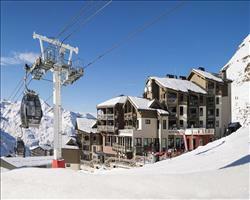 Hotel Le Val Chav... Val Thorens France, Dover Ferry 14th December. Hotel Fahrenheit ... Val Thorens France, Dover Ferry 14th December. Hotel Hameau de K... Val Thorens France, Dover Ferry 14th December. 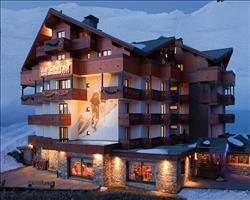 Hotel Le Sherpa Val Thorens France, Dover Ferry 14th December. 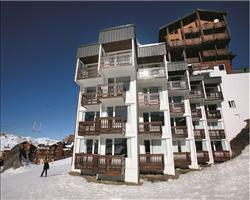 Hotel Les Trois V... Val Thorens France, Dover Ferry 14th December. 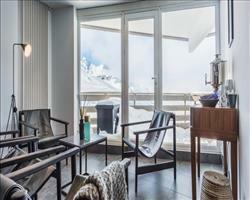 "Ski in / ski out luxury"
The Hotel Altapura is great, it’s very smart and luxurious. There are several different restaurants at hotel which we booked into. We’re vegetarian and there were lots of dishes for vegetarians, maybe not as many as for meat eaters but we were very satisfied with the quality of the food and the choice. They had nice puddings! Our room was upgraded to one with a view of the piste, I think I would have preferred a view of the mountains but it was very nice. It was a bit hot, I kept the window open quite a lot which helped ventilate it, but they have some issues with the heating at the hotel. They also came round to try and fix an irritating noise from the air conditioning, it got better but it was never completely fixed. That was the only downside really. The ski in / ski out position was great. The staff were very helpful and friendly. The hotel was positioned close to the ski school, you just had to take one or two magic carpets and you were up on the plateau where the ski school met. I booked my lessons with the local French school through the hotel and the school was very good. There was a ski shop on the ground floor of the hotel as well which was convenient, you didn’t have to go into town to get your skis. You could buy equipment there too, I think the prices to buy stuff there are probably higher than normal, but I think the hire prices are about the same as anywhere else. There was a locker room by the hire shop as well with boot heaters, so you could literally pick up your skis, walk out the door and you were right on the piste. The logistics were very easy. We had a coffee machine in our room, one of those ones with capsules, but no tea which I missed. A cup of tea at the bar was 6 euros. So best to get a cup of tea up on the mountain. I would recommend the hotel for couples.